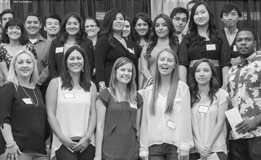 At Clovis Community College, our Transfer Services Counselors are committed to assisting you through the planning and application process for UC Transfer. We serve a large population of students and help them to fulfill their dreams. There are 21 top majors that the University of California has deemed as the most popular. 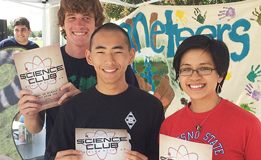 The pathways is a guide for the courses to take for that particular major. Although following a pathway doesn't guarantee admission to UC, it gives you a clear roadmap to prepare for your major and be well positioned to graduate on time from any UC campus. It is still important to meet with your counselor to ensure you are taking the appropriate courses. 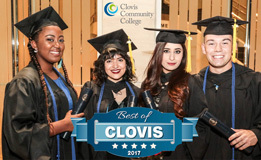 Clovis Community College has a Transfer Admission Guarantee with UC Davis, UC Irvine, UC Merced, UC Riverside, UC Santa Barbara and UC Santa Cruz. There is specific criteria that must be met in order to be eligible for a TAG. You can make an appointment to review the TAG criteria in greater depth. 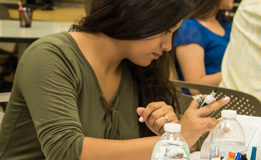 This online tool is designed to help prospective UC students transferring from California community colleges track and plan their course work, including those students who are seeking a Transfer Admission Guarantee (TAG) with one of the six participating UC campuses. Students can start the application process for fall admission, starting August 1st to November 30th. The submission filing period is from November 1st to November 30th. For more information about the application process, view the University of California Admissions website.